VMware has launched its long-anticipated public infrastructure as a service (IaaS), touting its virtual networking capabilities as a differentiator from other established hybrid cloud offerings. VMware's vCloud Hybrid Service will be based on the company's vCloud architecture, allowing customers to shift their VMware encoded workloads between in-house and the VMware hosted service, a practice known as running a hybrid cloud. "You can write an application and be safe in the knowledge it can be run anywhere," said VMware CEO Pat Gelsinger, in a Web conference announcing the new service, adding that much of the complexity enterprises experience in deploying their workloads in the cloud comes from preparing their in-house applications to run in a new environment. Those applications that VMware has certified to work with the company's vSphere virtualization platform will also work without modification on the vCloud Hybrid Service, Gelsinger said. The company touts that its software is used by 500,000 customers. VMware is not alone in offering a hybrid cloud approach. Both Hewlett-Packard and Microsoft both tout how their cloud services work smoothly with their on-premises software, allowing customers to move their workloads between in-house and hosted servers. Gelsinger, however, touted VMware's expertise in virtual networking as the key that would make its service more appealing than the others. Last year the company purchased SDN (software-defined networking) pioneer Nicira, and has been incorporating Nicira's technology in its own stack of software. The new service uses virtual networking technologies to extend customers' layer two and layer three networks from their data center to the vCloud Hybrid Service. "This is a real game changer for many of our clients, and completely reduces the risk of deploying applications onto this public cloud," Gelsinger said. In VMware's approach, a customer's virtual networks are extended across a WAN (wide area network) to the vCloud Hybrid Service, using the Internet or a dedicated link. The company's infrastructure tools, such as load balancers and firewalls, could be packaged in VMware virtual machines, so they can be deployed to the cloud, or moved between the two. By incorporating virtual networking technologies, VMware can minimize a lot of the work it would take to run applications. Customers already using a VMware platform don't have to worry about repackaging their applications in virtual containers, or changing networking connectivity information. Extending the virtual networks would also allow organizations, with little additional work, to maintain compliance with internal policies, as well as with external regulations such as SOX (Sarbanes-Oxley Act), HIPAA (Health Insurance Portability and Accountability Act), or PCI (Payment Card Industry) standards, Gelsinger said. VMware has launched this new cloud service first as an early access program, providing a full, production-ready service for selected customers. The service will be open for all in the U.S. by the end of September, and will be run from four data centers around the country. VMware will expand the service to other parts of the globe starting next year. 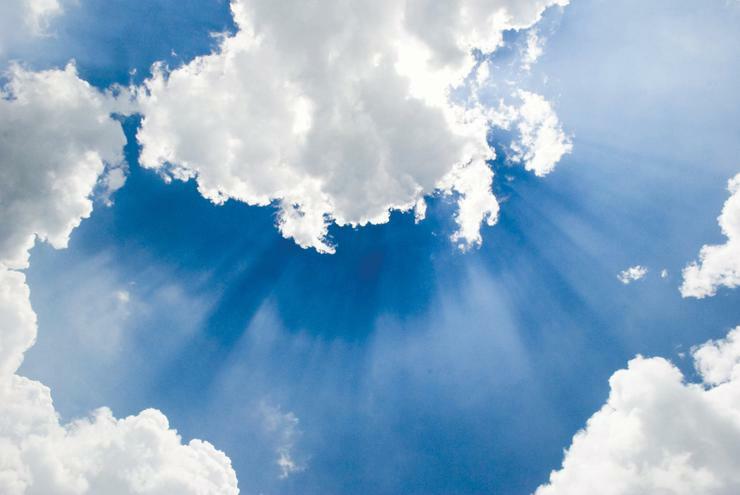 VMware's hosted cloud service will come in two varieties. One is the vCloud Hybrid Service Dedicated Cloud, for workloads that do not vary much in computational needs. This service will provide physically isolated and reserved compute resources, starting at US$0.13 cents an hour for a virtual machine with one processor and 1GB of memory, in a yearly contract. The second offering, the multitenant vCloud Hybrid Service Virtual Private Cloud, is designed for variable, or bursty workloads. It will start at 4.5 cents an hour for a virtual machine with one processor and 1GB of memory. VMware offers a vCloud Connector plug-in to extend vSphere management to the VMware cloud. Customers will be able to use other VMware management tools for jobs in the cloud as well, such as VMware vMotion, High Availability and vSphere Distributed Resources Scheduler. In addition to VMware itself, channel partners, service providers and integrators will also be reselling and customizing VMware's cloud service, targeting specific geographies or industries. "We see this as the most partner-friendly hybrid cloud," Gelsinger said. VMware also announced that it will offer SAP software, including Hana in-memory analytics, as a service that can run in this cloud. Launching the service will be challenging in a number of ways, industry observers have noted. VMware could potentially compete with partners, such as Verizon Terremark. It also must play catch-up with more established cloud services in the marketplace, such as Amazon Web Services and Rackspace's OpenStack-based service. Earlier this week, Dell bowed out of the cloud service market, discontinuing a cloud service using VMware's technologies in favor of handing business to partner providers.